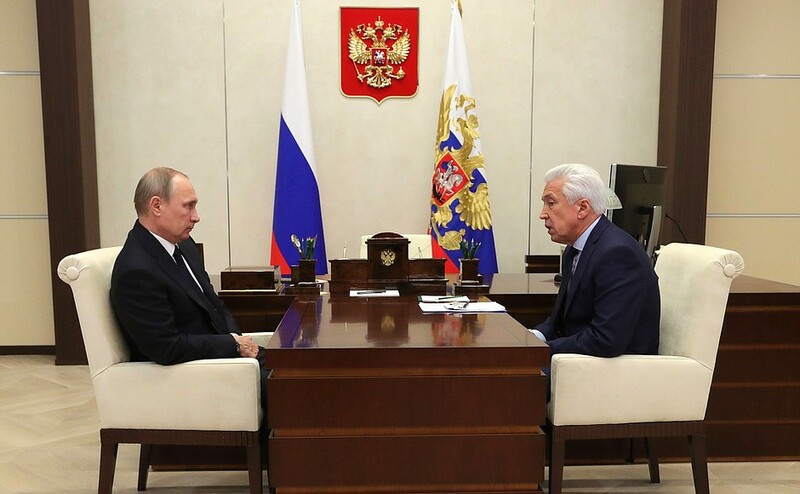 Putin met with United Russia faction leader Vladimir Vasilyev. Putin.BLOG Parties Putin met with United Russia faction leader Vladimir Vasilyev. Vladimir Vasilyev reported Russian President on the parliamentary party’s work during the State Duma’s spring session. Vladimir Putin with United Russia faction leader Vladimir Vasilyev. The discussion concerned, in particular, the parliament’s measures to resolve the issue of defrauded equity holders as well as the law passed by the State Duma and approved by the President that toughens liability for encouraging minors to commit suicide, specifically, via the so-called social media ‘groups of death’. Pushing someone to commit suicide is attempted murder. Even more so because they profit from it financially. How are they different from murderers? They are no different. State Duma plans for the autumn session were discussed separately. The law on the budget is a major priority for the autumn session. There is a lot of work ahead and we will meet more than once to talk it over. I would like to remind you that reducing defense spending is one of the measures to significantly save the budget funds next year. This does not mean shelving our plans to re-equip the Army and Navy. We will see through the state defense order and develop a new program. But some cuts compared to the last year are planned. Therefore, it is necessary to consider very carefully the issues that arise during the development of the country’s primary financial document. This concerns the defense, security, the economy, measures to support the economy, the social sphere, healthcare, the level of wages and incomes, especially in the public sector, for so-called ‘unspecified’ categories. Please consider this carefully. But, once again, we will repeatedly discuss this topic in due course. 0 Comment to "Putin met with United Russia faction leader Vladimir Vasilyev."